Popular Mount Vernon Cajun-Creole restaurant Acadiana is closing at the end of the year. In a statement, the restaurant said its last day would be New Year's Eve. WASHINGTON — Popular Mount Vernon Cajun-Creole restaurant Acadiana is closing at the end of the year. In a statement, the restaurant said its last day would be New Year’s Eve. Acadiana (pronounced ah-KADY-anna, like Louisiana), at 901 New York Avenue, N.W., has been serving its New Orleans-style food for 13 years. It said its lease is up. 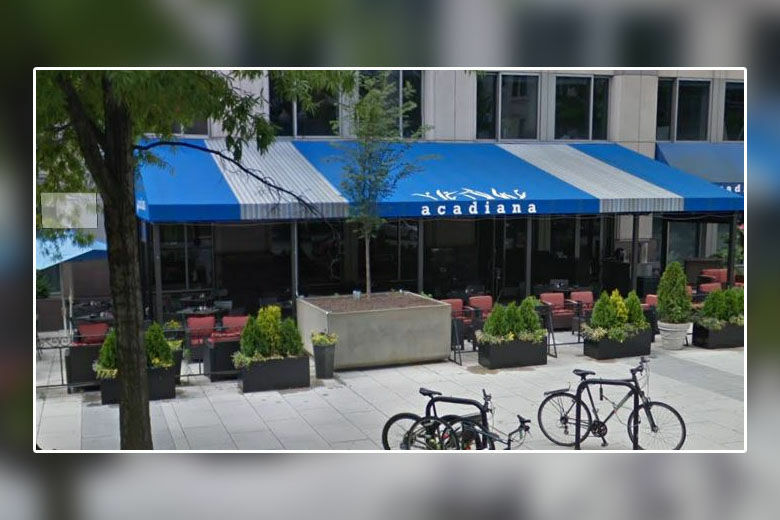 “It is with great sadness we announce the closing of Acadiana Restaurant in Downtown DC,” it said in a statement on its website. “Acadiana will remain open for a monthlong PARDI GRAS to celebrate many wonderful years, and will close permanently after New Year’s Eve as our lease is terminating,” the statement said. Acadiana, popular for its Mardi Gras parties, served lunch and dinner, and featured a live jazz brunch on Sundays. Acadiana was opened by Chef Jeff Tunks in 2005 as a Louisiana fish house. Tunks, and partners David Wizenburg and Gus DiMillo’s Passion Food LLC also runs Penn Commons, District Commons, Passionfish, TenPenh Tysons and Burger Tap & Share.